Psychedelic FX6000 V1 is modern plug-in multi-instrument / rompler created for various modern electronic music styles. 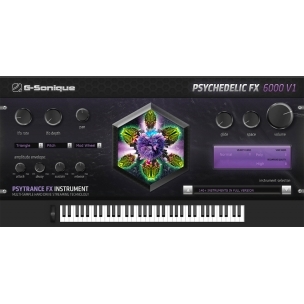 PSYCHEDELIC FX6000 V1 includes 140+ high quality, multi octave instruments / sounds ready for music production. 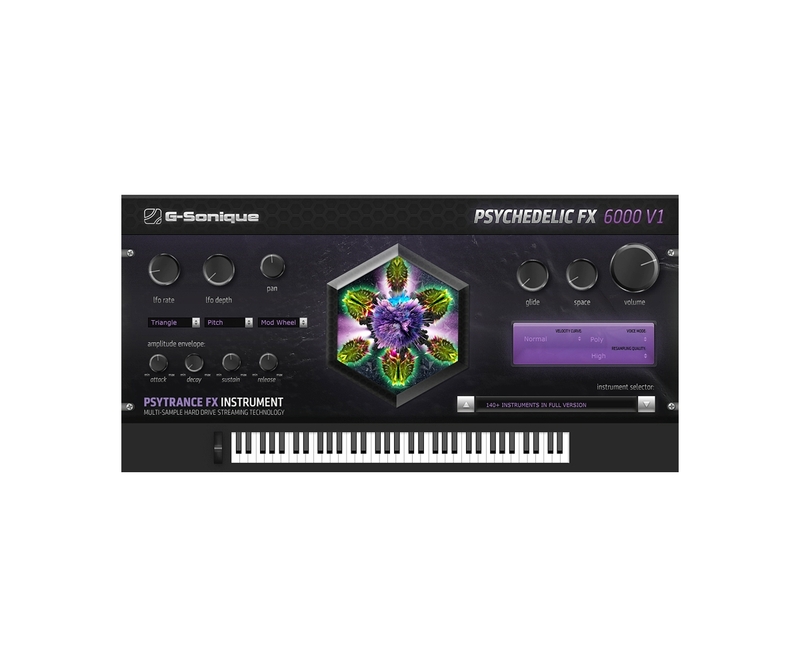 You can create your own FXs with various synthesizers, but it is difficult and very time consuming process, usually you must spent long hours creating just one sound, Psychedelic FX6000 makes your production easier and faster, you can choose from hundreds of high quality FXs made by professional psytrance producers in speed of just few seconds, modify them with internal parameters or use external vst effects (filters, modulators, reverbs, delays etc.) to re-create your own unique FXs. So with Psychedelic FX your production become more professional, faster and you can fully focus on creating melodies, arrangements, beats etc. Psychedelic FX 6000V1 also saves lot of your CPU and RAM (it is much more effective than basic synthesizer). 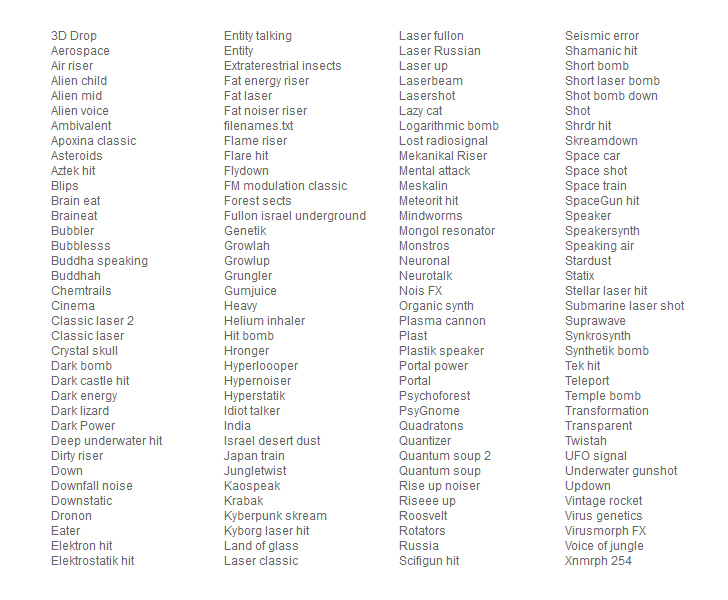 This plug-in include everything what you need to spice your production: classic and twisted psy FXs, lasers, blips, various FX hits, bombs, risers, downfillers, soundcapes, pads, fm twisted sounds, experimental FXs, progressive FXs, film drum hits, soundscapes for intros/outros, alien sounds, noise FXs, full on sounds, from mysterious and dark to positive sounds. Psychedelic FX6000 include huge library of 1,1GB internal files packed together with plug-in! All instruments / sounds can be additionally modified with LFO (rate and depth) modulating volume / expression, Panning, Pitch, amplitude envelope - attack, decay, sustain, release, Pan, Space, you can choose glide (+ glide time), mono, legato or polyphonic modes, load additional bonus instruments etc. You can layer two or more instruments together to create new kind of sounds (use two Psychedelic FX 6000V1 Layered together with different instrument / preset but with same melody) and use various external G-Sonique VST effects to modify the sound to brand new level. PSYCHEDELIC FX6000 V1 uses special multi-sample / multi-octave Hard drive streaming technology which saves your RAM (data are loaded from hard drive) with precise hiqh quality sound interpolation. Huge 1,1 GB library of instruments / sounds included in plug-in! 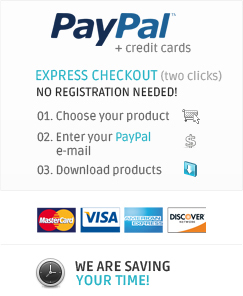 • " Great tool for adding smooth psychedelic sauce. I like to select an atmosphere, play it, tuck it into the mix & make it wobble. Brilliant." Win / Mac (file size: 421 MB). Click on the button.